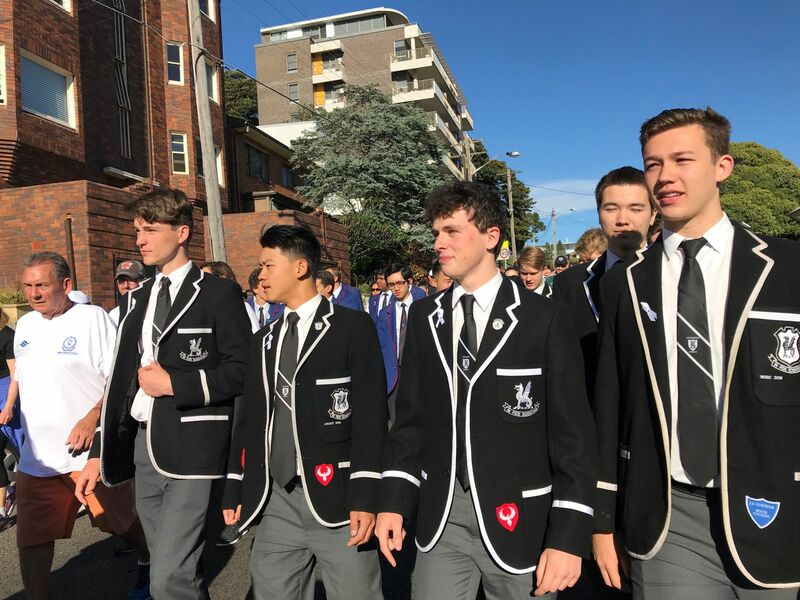 On Friday, 23 November, our Gender Equity co-ordinator, Ms Troncone and 11 boys from Year 12 participated in both the White Ribbon Day walk from High Cross Park to Coogee Bay Road and thereafter in a Q&A panel hosted by MLC School, Burwood. 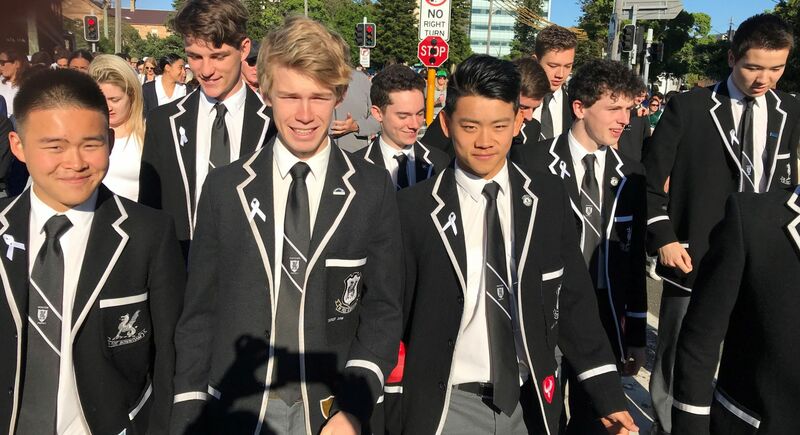 After a very early departure from school, we began the White Ribbon Day walk at 7.30am. 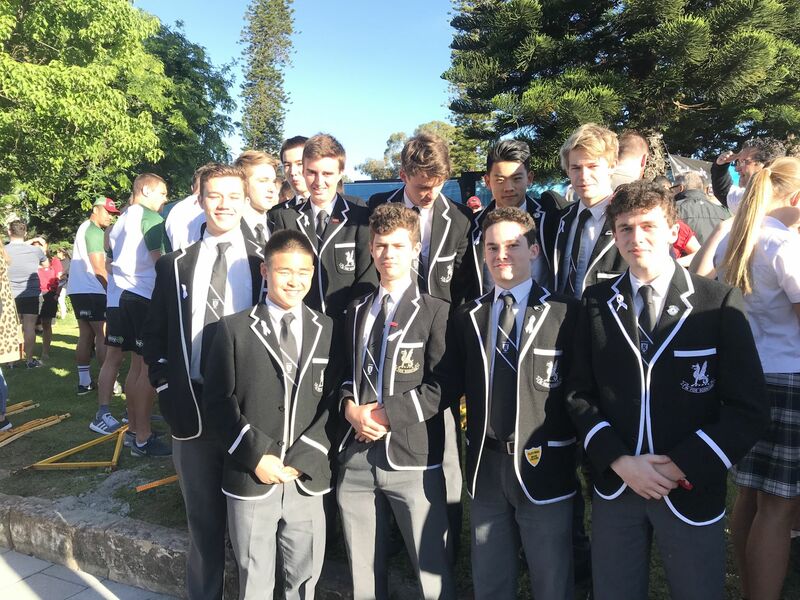 The half-hour walk down Coogee Bay Road ended at Grant Reserve where we listened to some powerful speeches given by various students and White Ribbon Day supporters. Most notably, we heard from Commissioner Michael Fuller from the NSW Police Force, the Hon. Prudence (Pru) Jane Goward, MP, Minister for Mental Health and Medical Research and Dr Angela Jay, a White Ribbon Advocate and herself a victim of domestic violence; needless to say and especially so for the latter speech, it struck a chord with the boys and allowed us to develop our views on such a contentious topic. 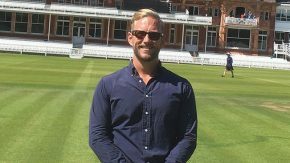 We were grateful and felt quite privileged to be able to attend such an event. We then travelled to the MLC school in Burwood where we attended a Q&A forum. This particular panel included the Hon Jodi McKay, NSW Shadow Minister for Transport and NSW Shadow Minister for Roads, Maritime and Freight, two Year 12 MLC and Burwood Girls High School students, Ms Katie Young from the Women’s & Girls’ Emergency Centre (WAGEC), Ms Gabrielle Boyle from Channel Nine News and Sergeant Murray Will, a domestic violence Team Leader with the NSW Police Force. Each provided a unique perspective on how they approached domestic violence. They were insightful and gave us a better understanding of the problem that is domestic violence. 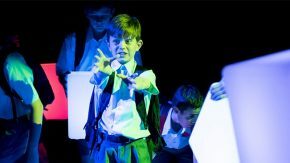 I know I can speak on behalf of the boys when I say that it was a thought-provoking experience that we will never forget. It will be an experience that will forever resonate with me and the boys and we are thankful for being given the opportunity to represent Newington College and to participate in both events.